DO YOU SUFFER WITH NECK PAIN? You CAN end your pain, once and for all… safely, easily, quickly. This new, all-natural, non-invasive solution will eliminate your neck pain, headaches and migraines forever, WITHOUT expensive surgeries, WITHOUT time-consuming physical therapy appointments, WITHOUT muscle relaxants, painkillers, heat, ice, radiofrequency, or massage. Whether your neck and head pain have just recently become a problem, or you’ve been in constant pain for years, I want you to know that I've been able to help thousands of people eliminate their neck pain, headaches and migraines for good. Has it become difficult (or impossible) to do normal everyday things like sitting? Or changing clothes? I’d like to invite you to my “NECK PAIN SOLVED!” 28-Day Challenge. This program will finally CURE your neck pain, headaches and migraines, once and for all. It's only $28 to join this Challenge (but we're only letting 50 people participate). That CAN happen to YOU. It has already happened for hundreds of my clients, and thousands of my students. It’s easy because I’ve arranged the 7 different approaches into one super-simple routine that only requires 9 minutes of your time every day. A HUGE reason people don’t get results from systems like this one is that they’re too complex, too time-consuming, and too difficult to do. Because my system is so easy, and takes so little time, you’ll find yourself actually WANTING to do it everyday, and LOOKING FORWARD TO DOING IT - and because you do it everyday, you’ll actually get the results you want! Don’t worry - just because this is easy to do and takes only 9 minutes a day, doesn’t mean it doesn’t work - it does work! This system has already been tested and proven to work with hundreds of my clients and thousands of my students who have eliminated their neck pain, headaches and migraines for good. And as you’ll see below, I’m offering an insane money-back guarantee with this program, precisely because I know this system works! Increasing range of motion strengthens your neck muscles, and surrounding muscles, so your head is better stabilized, and there is less stress and strain on your neck. When there is less stress and strain on your neck, and the surrounding muscles are bearing more of the load, your neck will go back to being strong, healthy and pain-free! In the “Neck Pain Solved!” 28-Day Challenge we’re going to use light dynamic stretching to increase and improve your neck’s range of motion. Stretching is a core part of the “Neck Pain Solved!” 28-Day Challenge. You’ll start with very light stretches for only about 30 seconds each, and gradually work your way up. Our stretching will focus on unlocking and strengthening the Upper Trapezius muscles and the Sternocleidomastoid muscles. 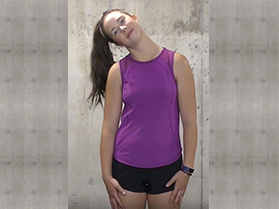 In the “Neck Pain Solved!” 28-Day Challenge we’ll also use isometric exercises. These are easy as pie. All you have to do is hold your body still in a static position for 30 seconds or less! These are gentle, but highly-effective exercises and movements for healing and strengthening your neck and shoulders. When your neck and shoulders heal and get stronger, they can hold your head better and longer. Thus, eliminating all your pain! 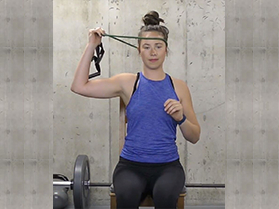 Another core set of exercises in the “Neck Pain Solved!” 28-Day Challenge is neck and shoulders exercises. We want to strengthen your neck so it can support weight and posture better, and your shoulders, so they can aid your neck in that support. We also build shoulder strength because weaknesses and problems in the shoulders often are an overlooked cause of pain in the neck. to make sure I get one of the 50 spots! Four invisible causes of neck pain most people never see or suspect… and how to take care of these first, before you start the 28-Day Challenge, so you are assured great results! How to multiply your progress, pain relief, healing and strengthening of your neck as you do the “Neck Pain Solved!” 28-Day Challenge, with just a few quick and easy changes to things you do every day. Two important things you must do in every neck stretch, movement or exercise. Failure to do these results in slow progress and the possibility of new injuries. In this component, you get a video and a brief manual that walk you through, step-by-step, how to do your own self-assessment. Based on this information, you’ll know exactly where to start in the “Neck Pain Solved!” 28-Day Challenge. The “Neck Pain Solved!” 28-Day Challenge contains a wealth of educational information on neck pain, headaches and migraines, but I want you to come up to speed FAST on what you need to know, so you can get started FAST, and start reducing your pain FAST! So, I’ve distilled the educational content down to the most important summary points you need to get going right now. The “Neck Pain Solved!” 28-Day Challenge is a comprehensive program of gentle, yet highly-effective exercises designed to reduce and eliminate your neck pain, headaches, and migraines in just 28 days. The program is broken out into 3 stages. The 3 stages progress from very easy (Stage 1) to more challenging (Stage 3). 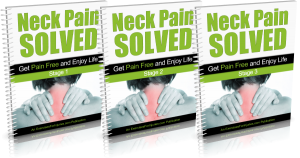 This 3-stage structure ensures that any person can complete this program and solve their neck pain, headaches, and migraines for good, even those who have severe pain, and even those who have never exercised a day in their life! The 3 different stages also allow you to self-direct your progress so you get the fastest possible recovery. 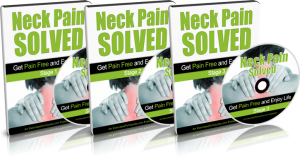 As mentioned above, for each of the 3 stages in the “Neck Pain Solved!” 28-Day Challenge, you get an instructional video, a follow-along video, and a comprehensive manual. 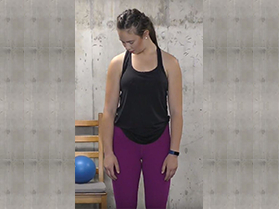 This video provides all of the easy modifications you can make to the stretches, movements and exercises you’ll be doing in the "Neck Pain Solved!" 28-Day Challenge. 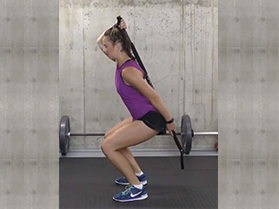 This is important because once you have mastered the easier movements, you will need to add some additional resistance to make the exercises more challenging for your muscles. This is how you can continue to progress and eventually heal your neck fully, so you can be completely pain-free and eliminate your headaches and migraines too. During the “Neck Pain Solved!” 28-Day Challenge, you’ll have the opportunity to submit any questions you have, directly to me. At the end of each week of the 4-week program, I will give you access to a video with my answers to all of your specific questions, and those from other participants in the program. I am going to answer all of your specific questions personally… because I want to make sure you stay on track with this program, and definitely achieve your end goal >>>>> END your neck pain for good, and eliminate your headaches and migraines! I am including another way for you to get direct access to me - for getting your questions answered, and also for inspiration, motivation and accountability. During the “Neck Pain Solved!” 28-Day Challenge, you will get exclusive access to my private, secret Facebook group. In this group, you get the opportunity to ask your questions, about your specific situation, to me and my team of health and fitness experts, DIRECTLY. You also get to see the answers we give to other members of the “Neck Pain Solved!” 28-Day Challenge - these can be surprisingly helpful even though you didn’t ask them. You also get the chance to meet new friends and become part of a supportive community. Most of the people in my VIP Coaching Group have told me, at one point or another, that they get incredible support, inspiration, motivation and accountability - not only from me and my team of experts, but also from the other members in our group. We seem to attract a very good bunch of people in this group, which we love! 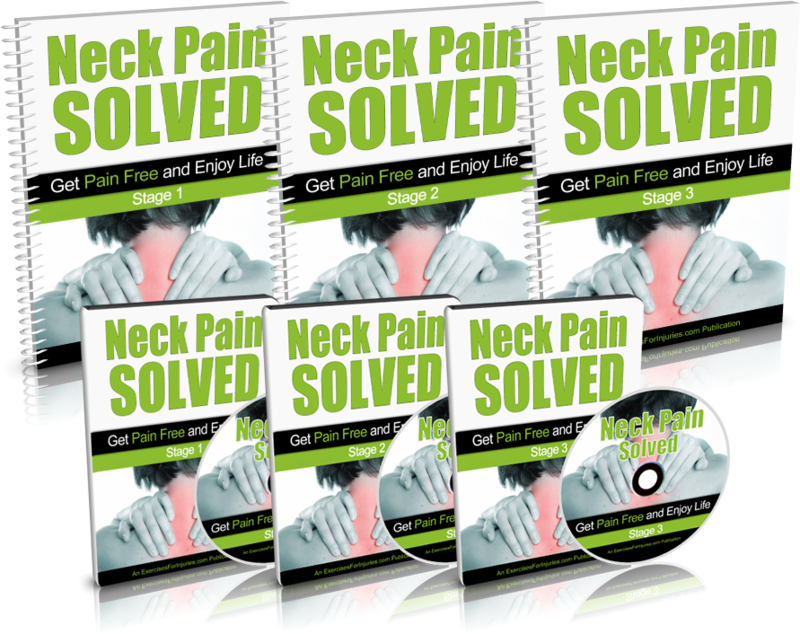 “Neck Pain Solved!” 28-Day Challenge? I’ve sold this program as a standalone product in the past for $57, but without all the direct access to me, and all the extra goodies that come with this 28-Day Challenge. There are other challenges out there that provide more access, like I do here, but they cost $2,000, even $3,000! You’re not going to pay anything close to that, because I want this program to be available to as many people with neck pain as possible. I think it’s a tragedy for anyone with neck pain to go on suffering with it, when my program can help remove it for good. I know it sounds cheesy, but I would give this program away for free if I could. 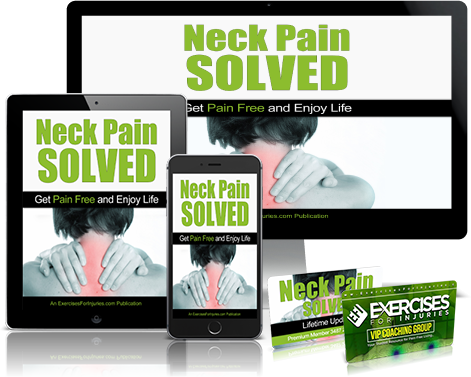 You won’t even pay the $57 I charged for my Neck Pain Solved product (that didn’t even come with direct access to me and lots of extra resources that you’re getting with the “Neck Pain Solved!” 28-Day Challenge). Today, you’re only going to pay a one-time fee of $28. I’ve decided to only let 50 people participate in this 28-Day Challenge. Because there is a lot of access and interaction with me, I need to limit the size of the group, so I can make sure everyone is served to the best of my ability. We’re in the process of sending out emails to over 100,000 people, who are on my subscriber list, and we’re inviting all of them to join this Challenge. GET IN NOW! I won’t be surprised if this program fills up in one day or less! I’m giving you a 60-Day 100% Money Back Guarantee. I want you to know that you have no risk, so you can join this program with peace-of-mind. I want you to be focused on learning and doing the easy, gentle movements and stretches in this program so you can be free of your pain. I don’t want you to have to worry about whether it’s going to work, or whether you’re going to lose out or anything like that. With my 60-day guarantee, you can put your mind at ease and focus on doing the program and getting better. If for any reason, at any time during the 60 days, you aren’t completely thrilled with the results you got from my “Neck Pain Solved!” 28-Day Challenge, just send me an email, or call my friendly staff, and we’ll return all of your money, promptly. If you decide to join my “Neck Pain Solved!” 28-Day Challenge... I am 99% sure that in 28 days, you will see some VERY DIFFERENT results, and you will be feeling A LOT BETTER. Q: Do I have to go anywhere special to be part of the “Neck Pain Solved!” 28-Day Challenge? No - this is a virtual challenge, which means you can do it from the comfort of your own home. This “challenge” is different from other programs because you will have lots of direct access to me, and get lots of personal attention from me, but it can all be done from the comfort of your own home, over the Internet. Because this program includes lots of access to me, and I will be personally involved in helping you eliminate your neck pain, headaches and migraines, I am limiting the group size to 50 people, so I can be sure to serve each and every person to the best of my ability. Click here to get one of the 50 spots, before it’s too late! This is absolutely true. You DO need to be very careful not to strain or over-stretch your neck because it can lead to more pain and discomfort. 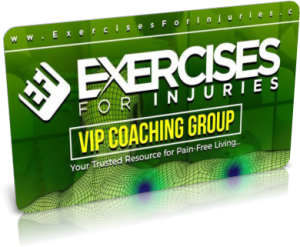 This program is designed to be extra gentle and conservative, first because you don’t need to use very much force or resistance when you are exercising your neck, and second because doing too much can lead to new injuries. In this program, I also have different “flows” designed specifically for each different level of neck pain and injury. You can definitely find neck exercises online, for free. 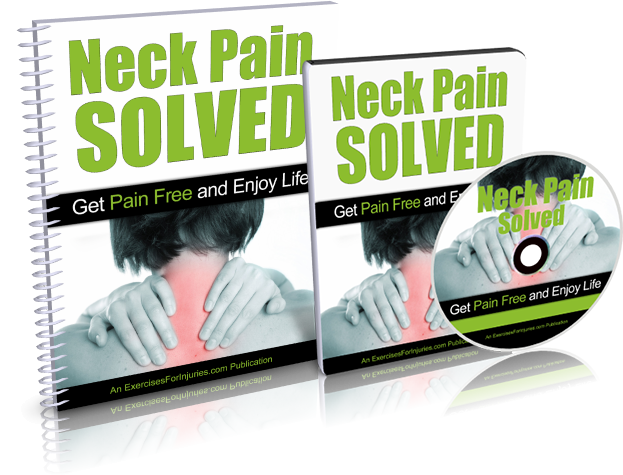 But, you won’t find a complete program designed to apply 7 different approaches to eradicating neck pain, headaches and migraines, specifically. 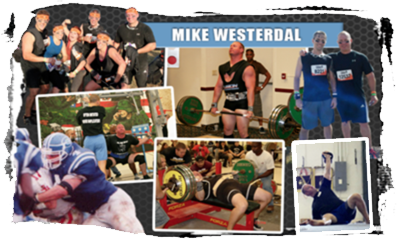 You won’t find a whole program that has been carefully crafted, based on decades of research and real-world testing, that includes ONLY the necessary exercises, with instructions on how to do them in just the right sequence, with the right number of reps and sets, so that you will reach your ultimate goal, which is to be pain-free in your neck, and eliminate headaches and migraines. 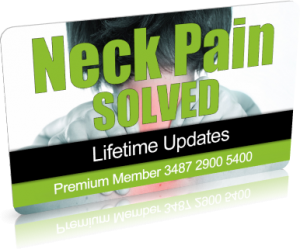 That’s exactly what the “Neck Pain Solved!” 28-Day Challenge is, and does! Yes, and no. 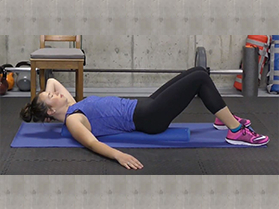 Most fitness and health professionals take a shotgun approach to exercises for injuries. They keep giving you more and more exercises, hoping they will help. I don’t do that. My program only includes the exercises you need. I also recommend you do them in a specific sequence and I give you precise instructions on how many repetitions and sets you need to do. My program has been carefully designed, based on years of research and real-world testing, and it is a SYSTEM that has already worked for other people. There will be no guesswork or confusion on your part – everything is laid out and easy for you to follow. My best advice is for you to stop all of the other exercises you are doing, and focus only on the “Neck Pain Solved!” 28-Day Challenge for at least the next 28 days. Q: Can I join the “Neck Pain Solved!” 28-Day Challenge if I’ve had an injury or surgery? This may be your only chance to join the “Neck Pain Solved!” 28-Day Challenge. Even if you leave this page and plan to come back later today, or tomorrow, it may be too late! We’re sending emails and notifications to over 100,000 people who are on my subscriber list, and who will be visiting this page… many of them may be on this page right now. We’re only accepting 50 people for this 28-Day Challenge. 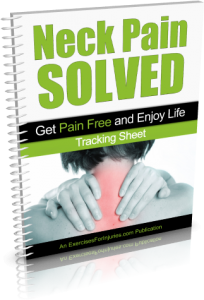 This program is SO VALUABLE and includes so many resources, videos, handouts, audio files… everything you need to eliminate your neck pain, headaches and migraines, for good. I’m fairly certain the 50 spots will be gone in one day, or less.